As St. Louis prepared to rebuild an important downtown boulevard in 2010, an old massive railway tunnel was creating serious challenges for the project’s engineers. The tunnel needed to be filled to ensure it could support traffic on the rebuilt roadway. However, the fill material needed to be light enough not to push the original tunnel walls outward. Fortunately, Versa-Tech Inc., a growing Missouri company, had an innovative solution: filling the tunnel with strong, lightweight expanded polystyrene. Expanded polystyrene is a common consumer product. People often mistakenly refer to it as Styrofoam, a similar product’s trademarked name. However, Patrick Rosener, an owner and partner at Versa-Tech, says those outside the industry are often surprised to learn the different ways the product is being used today. In this case, it supported a major roadway. “Most people completely underestimate the structural and compressive resistance of this foam,” Rosener says. For the road project, workers at Versa-Tech’s Fredericktown manufacturing facility molded huge blocks of 16-foot-long expanded polystyrene. These were then shipped to St. Louis to fill the old tunnel. The project was a success, illustrating the growing adaptability of Versa-Tech’s product. Today, Versa-Tech sells expanded polystyrene that helps keep refrigerators cold, boats afloat, pharmaceuticals fresh, and roofs insulated—in addition to packing supplies. “That’s the beauty of our business, we offer solutions and support to a wide variety of markets and applications”, Rosener says. Rosener and his fellow owner and partners, John Moorman and Jeff Geile, founded Versa-Tech in 2000. The three had worked together in the foam industry and decided to branch out on their own after their former employer was purchased by a large corporation. Rosener says corporate consolidation has been a major force in their industry in recent years. In contrast, Versa-Tech has found success in remaining independent and focusing on the needs of individual clients. “We really found our niche by customizing what we do for each customer,” Rosener says. The company has experienced significant revenue growth over the past three years. 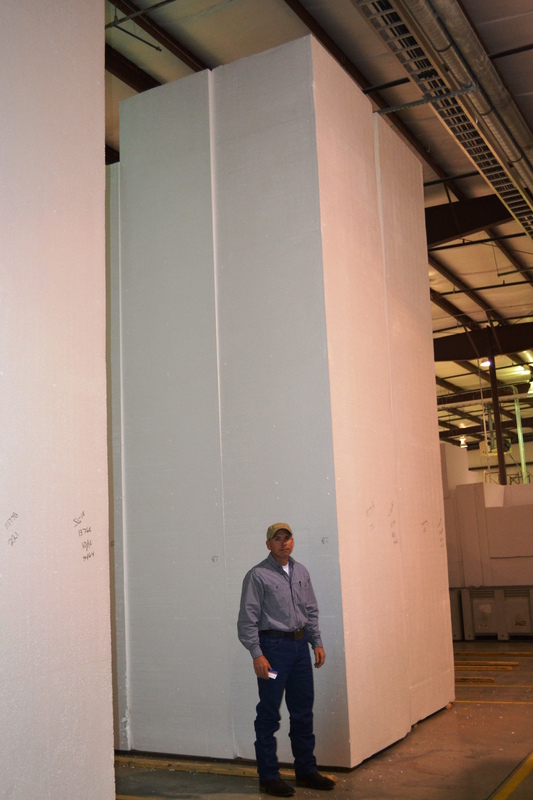 With this growth, Versa-Tech now produces millions of cubic feet of expanded polystyrene each year. It ships this product from Fredericktown throughout the Midwest for a variety of uses. “Missouri has afforded us industry applications that we may not find in other parts of the country,” Rosener says. Today, Versa-Tech employs about 45 people. Rosener and his partners enjoy collaborating and working alongside their employees in every facet of the business. This helps them stay attuned to employee needs. Even with Versa-Tech’s recent strong growth, Rosener says the company is just getting started.